This is an illustrated anthology of verse and prose. It is a lavishly-illustrated and embellished collection, which brings together beautiful works of art that have been specially selected to accompany delightful pieces of verse and prose. It contains extracts from George Eliot, W B Yeats, Kahlil Gibran, Louisa M Alcott, Alfred, Lord Tennyson, Francis Thompson, John Milton and more. 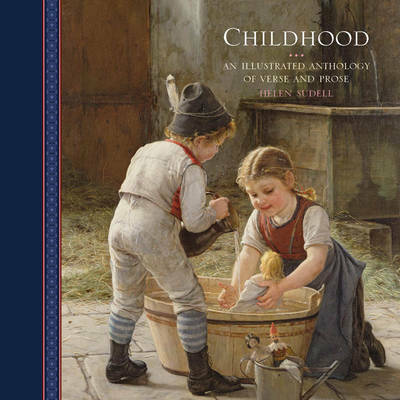 It is a book that commemorates and reveres the state of childhood, and celebrates memories of being young, making it an ideal gift for any member of a family. Childhood is a precious time, when we have everything to hope for and find constant wonder in the world around us. It is a time of excitement, happiness, sadness and tears, mischief-making, innocence and anxieties, but above all it is a time to love, learn and grow. This charming anthology commemorates childhood - from arrival into the world, through starting school - making friends and new discoveries, building hopes and dreams. The book is illustrated with beautiful paintings of children: playing make-believe games, helping with chores, having fun with companions and falling asleep at the end of the day. Just as the illustrations portray the charm, innocence and eagerness of the children, so the words reflect our love for them, with stories and poems and fragments of rhymes and folktales written about and for children over the centuries.